This is a superb moisturiser which leaves your skin feeling fresh, silky and smooth. It is not too heavy and is super for use under make-up. I am 35 with combination skin and I love it! I'm onto my third bottle of this lovely moisturiser. My skin is much smoother and hydrated since using this every day and it doesn't make me break out or aggravate my Rosacea. Would highly recommend, especially during these cold months! Fab moisturiser for a combination skin!Keeps your skin soft and silky.. 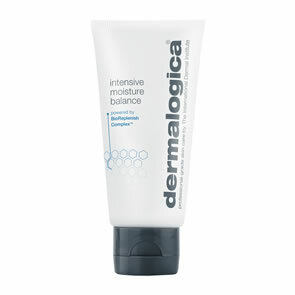 I have been using the Dermalogica Skin Smoothing cream for almost a year and am very happy with this product. It is rich enough to provide sufficient moisture to dry skin but is still light on the skin and absorbs quickly. This is the best and only product I will use in the future. I tried the Skin Smoothing Cream as an alternative to the Active Moist at night and during winter months as my combination skin tends to get a little dry during these times. I find that it provides enough moisture without making my skin too oily which is important to keeping my skin pimple-free. I love the hydrating effect of it and it leaves my skin feel soft! Fantastic Product - I use it everyday along side the multivitimin Firm Eye and Lip Area Product excellent combination together my skin is so soft. And of course as always excellent 5 star service by the Purebeauty team - delivery next day - will order again soon. i have been using this moisteriser for over a year now and also the cleanser. i found it to be absolutely brilliant, i suffered with eczema around the eyes and nothing seemed to sort it out until i found using these products. i no longer have any problems with dry skin, its fab and the products always get delivered the next day. I fell in love with this product after using one of its samples. Having combination skin, I found Pure Night and Active Moist were too lightweight in certain areas and the Skin Smoothing cream takes care of the drier patches. I have only used this 2 - 3 times now, already my skin feels wonderful but I\'m curious how much even better it\'ll feel after long term application. I love this product. I was using the active moist and although that was nice, I felt that my skin needed more moisture! 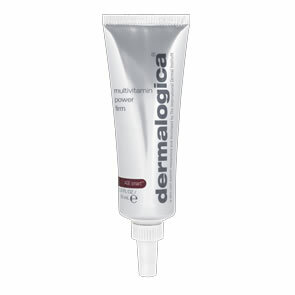 With this skin smoothing cream, it's really thick, you only need a little bit. It feels really nice when you are putting it on, but it soaks in well and doesnt leave you feeling greasy or sticky at all. Really quick dispatch, although this is the third order I've placed so I should be used to it by now! I love this moisturiser. It really does make your skin feel smoother. It's not at all greasy but so rich that a little goes a long way. Definitely lives up to its name.